Provides a ClockMock helper class for time-sensitive tests. 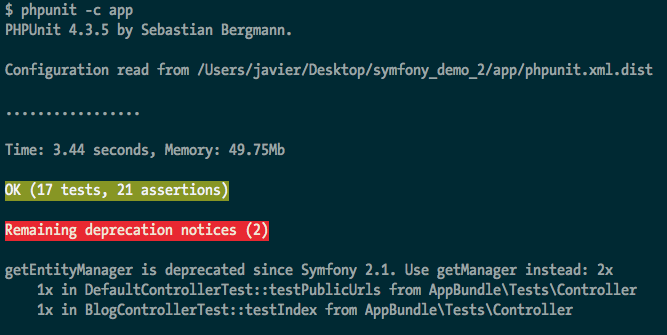 You used the Symfony Stopwatch Component to calculate the duration time of your process, here 10 seconds. However, depending on the load of the server your the processes running on your local machine, the $duration could for example be 10.000023s instead of 10s . Register it manually by calling ClockMock::register(__CLASS__) and ClockMock::withClockMock(true) before the test and ClockMock::withClockMock(false) after the test.